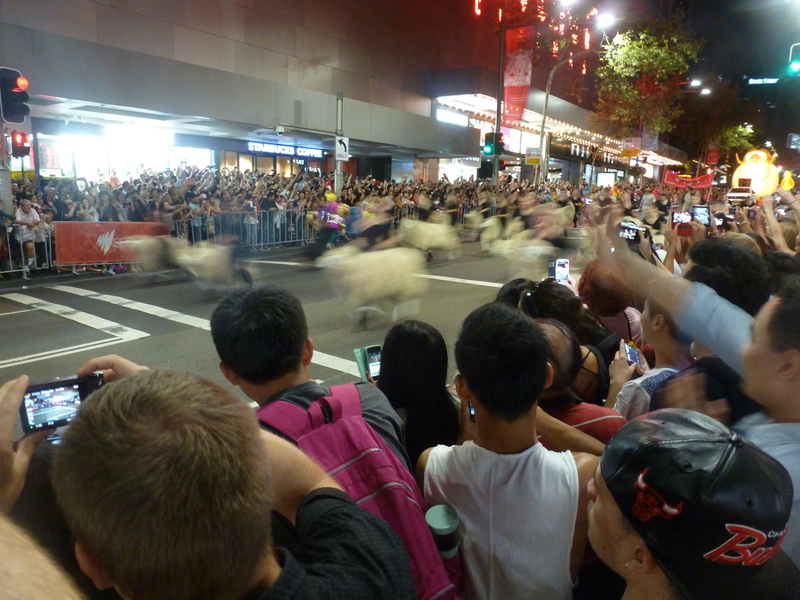 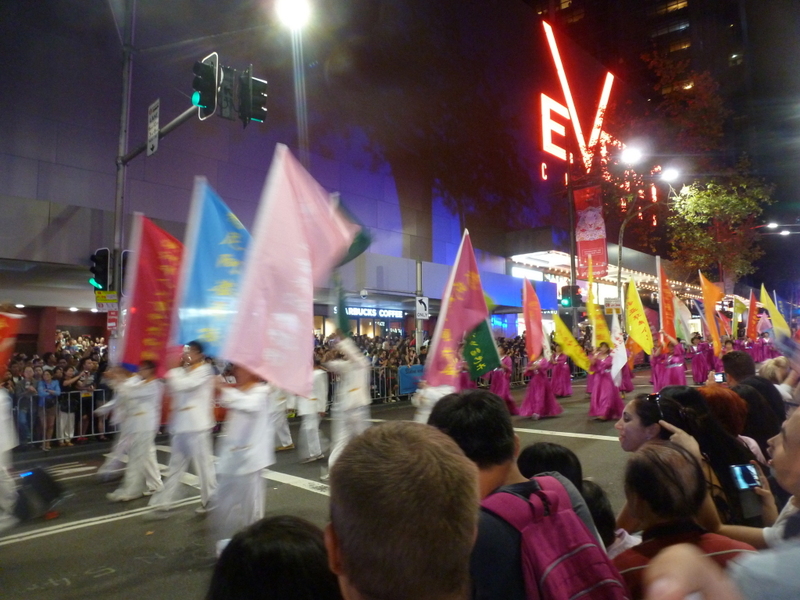 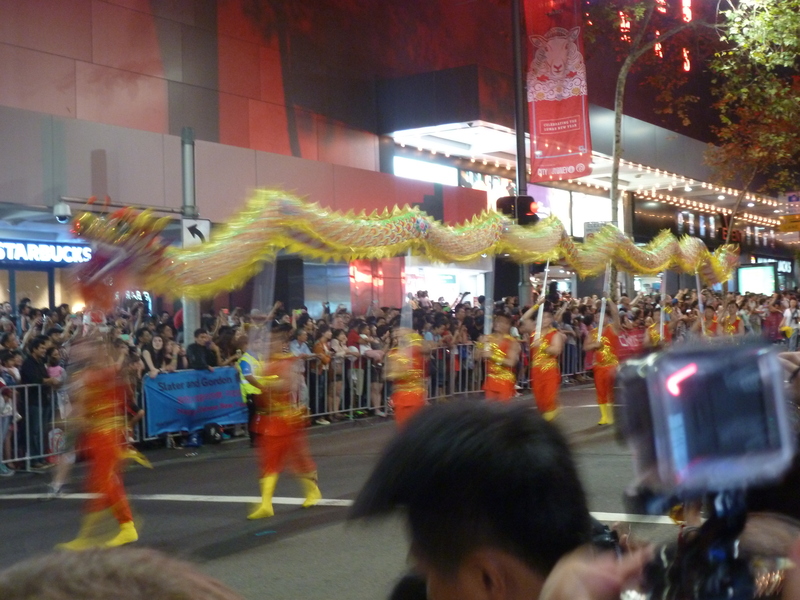 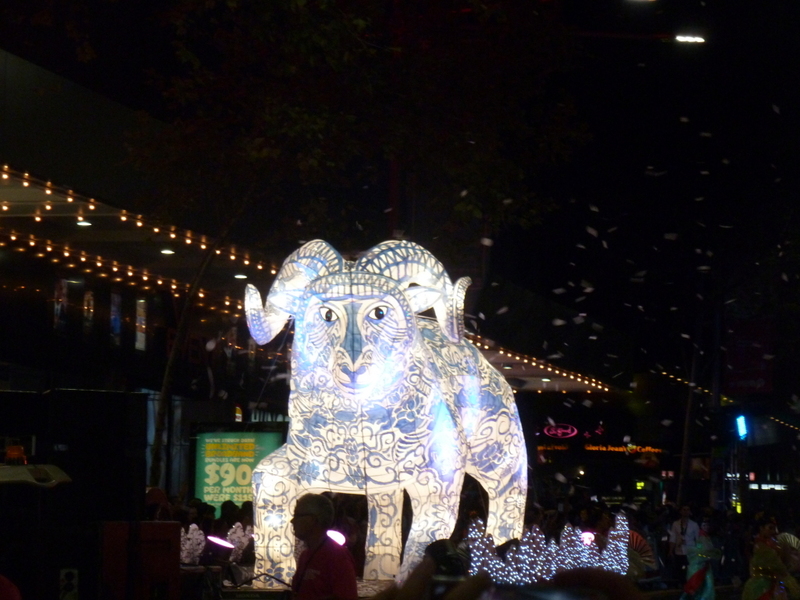 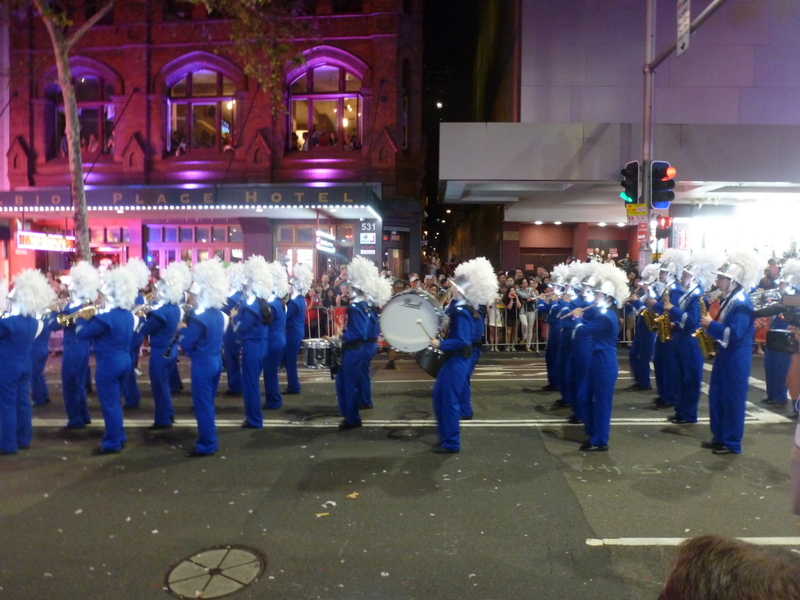 On 22nd February, I went to see one of the many parades featuring on Sydney’s calendar: the Twilight Parade from Town Hall to Chinatown. 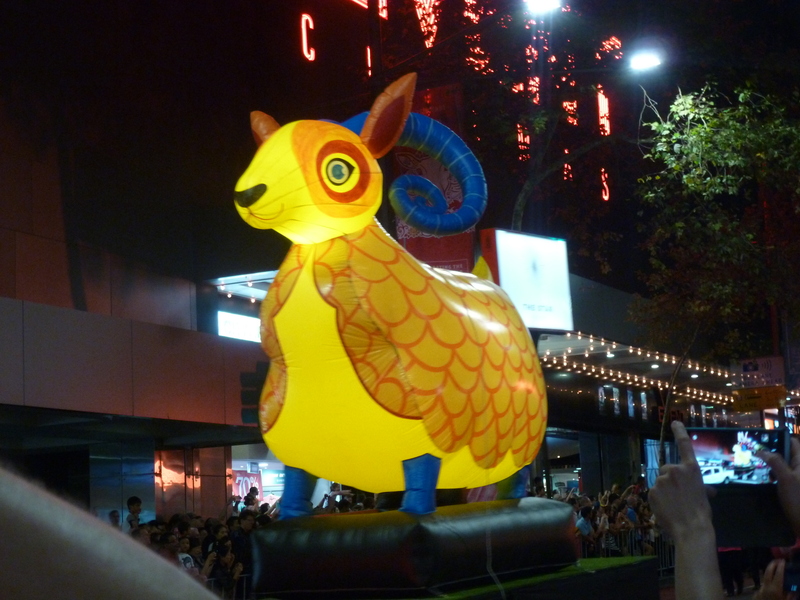 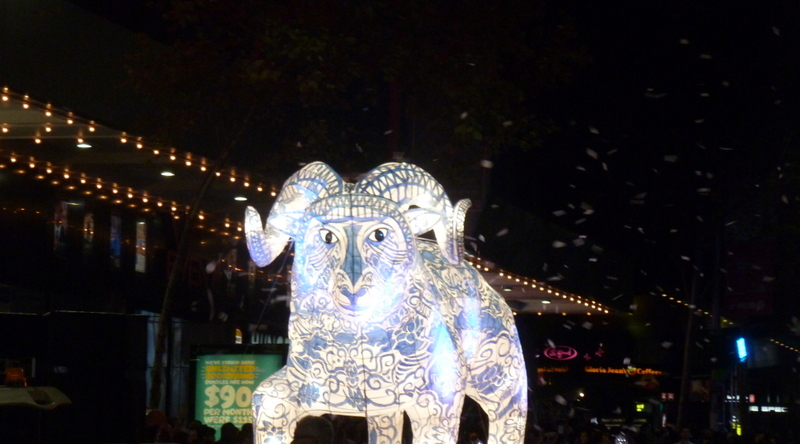 This was to celebrate the start of the Year of the Sheep. 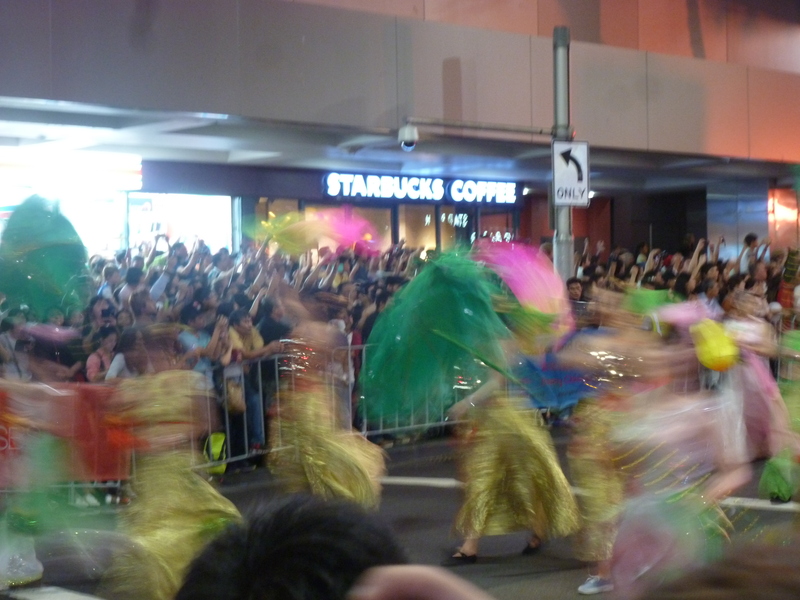 Fireworks were let off in the street to signify the start of the parade, and then we were treated to a host of dancers, bands and floats. 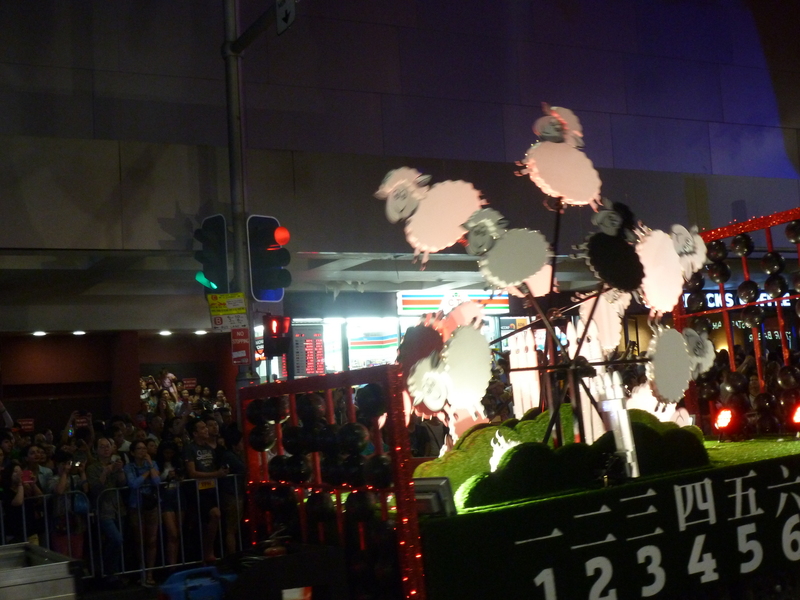 The crowds were huge, but fortunately we found some crates on which to stand. 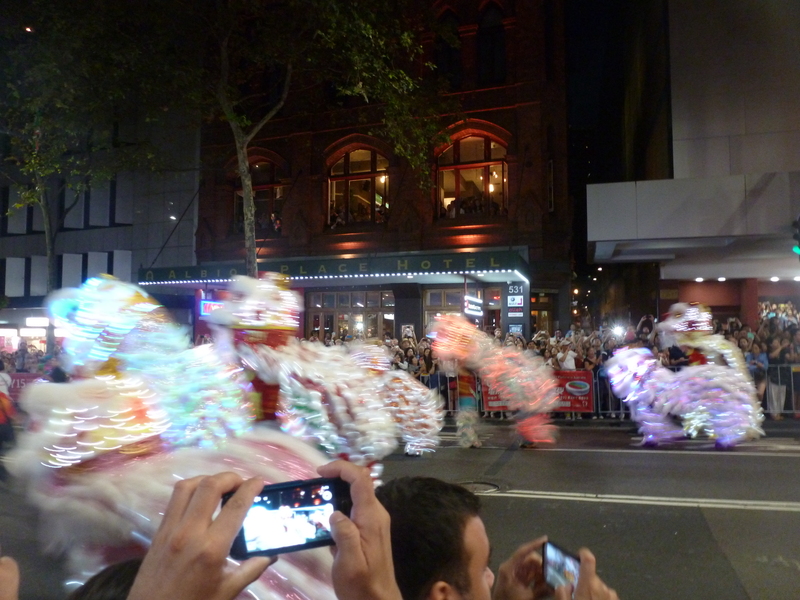 This was just as well given my diminutive stature… The photos I took were blurred as the parade was moving so fast, but hopefully will convey something of the experience. 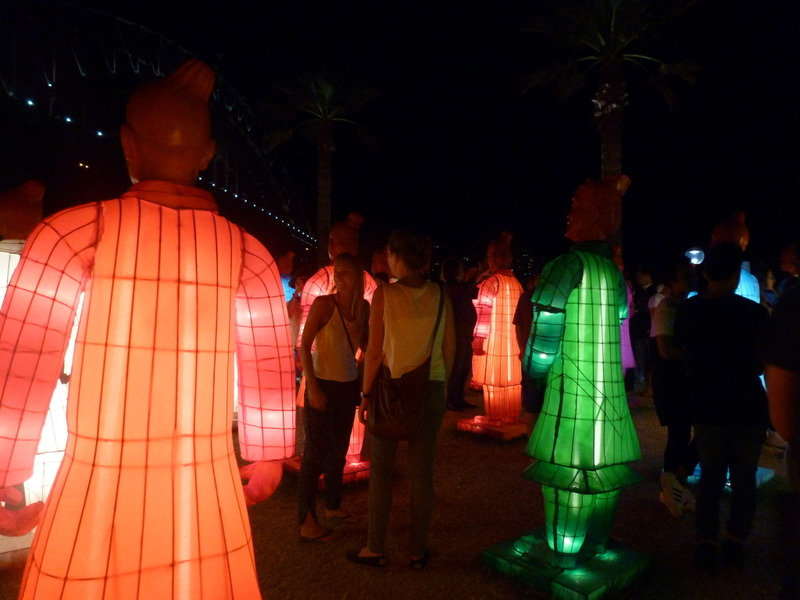 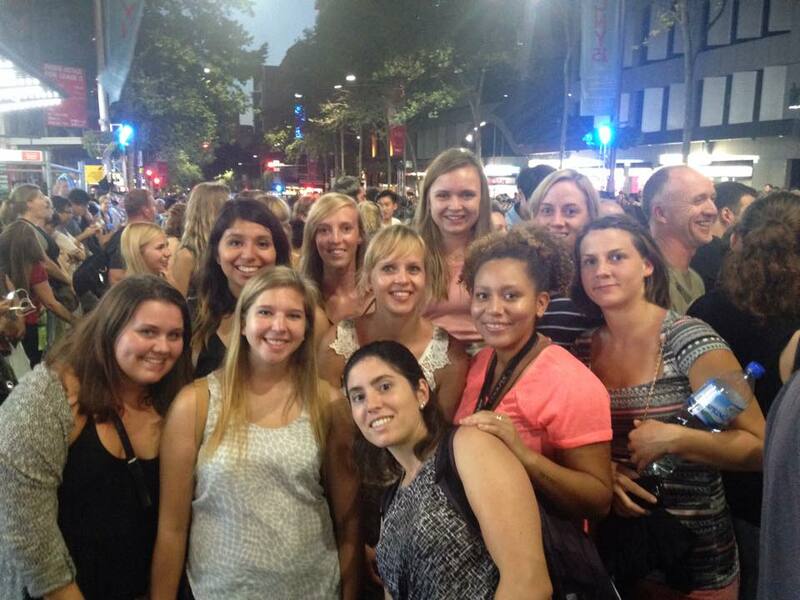 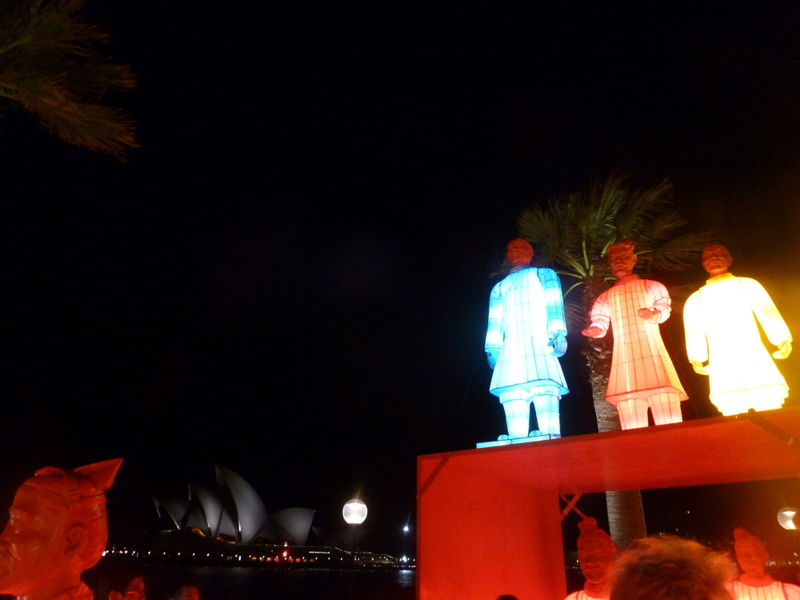 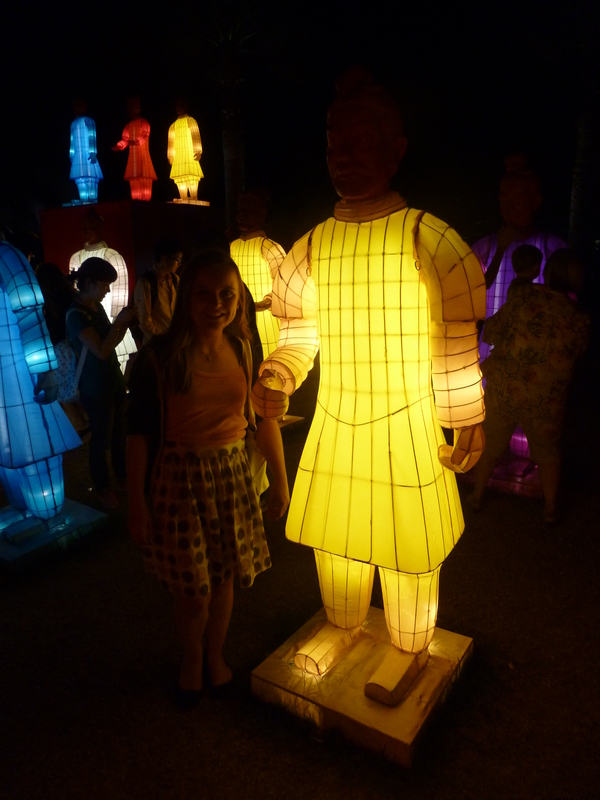 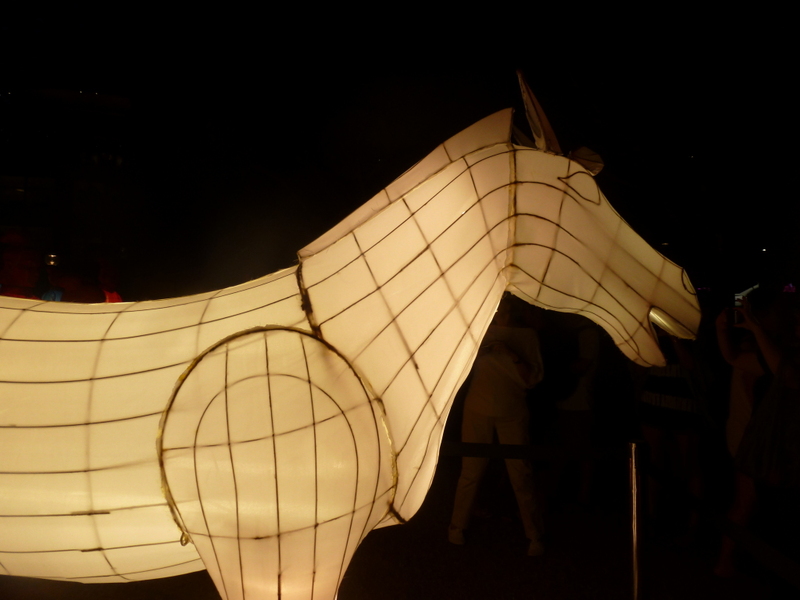 After the parade, Rachel and I went to Dawes Point in order to see the Lanterns of the Terracotta Warriors. 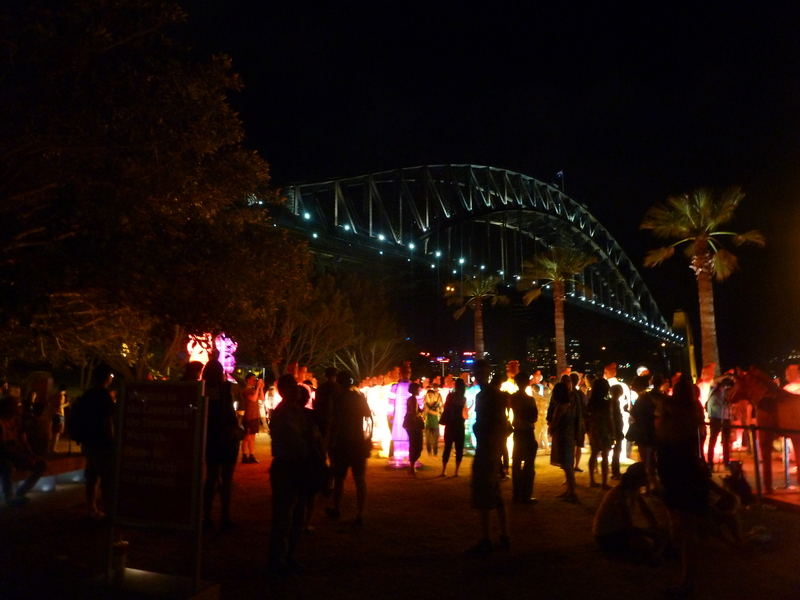 The setting was particularly good, since you could see both the Harbour Bridge and the Opera House.